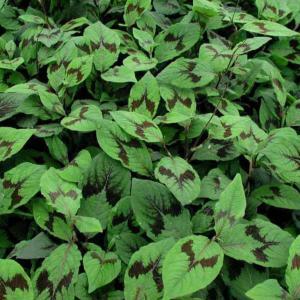 Persicaria virginiana ‘Bat Wings’ is a really attractive and easy to grow perennial grown as much for the interesting foliage as for the delicate coral flowers. 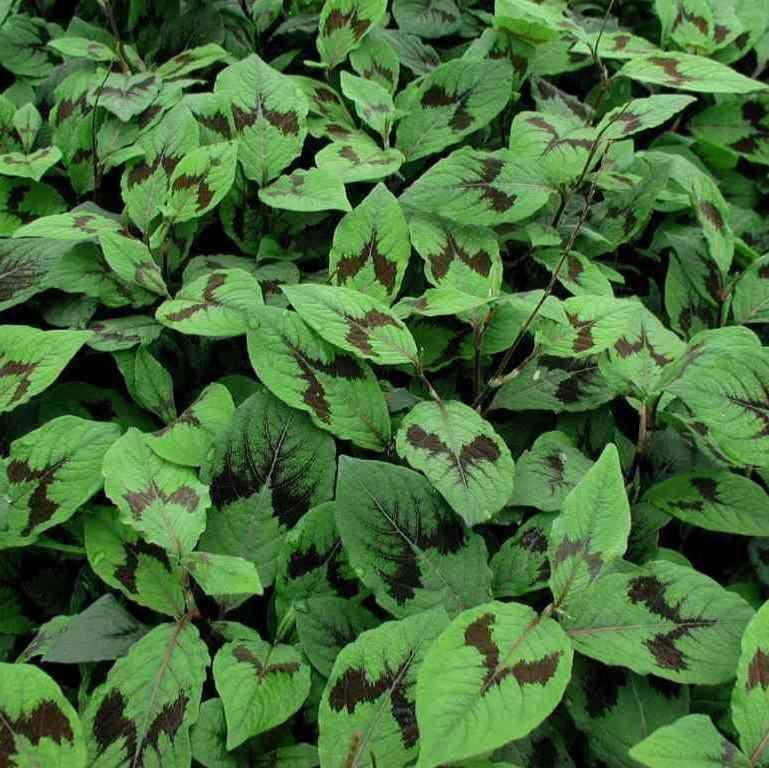 Each dark green leaf is attractively marked with a darker rusty brown chevron, often resembling a bat in flight. 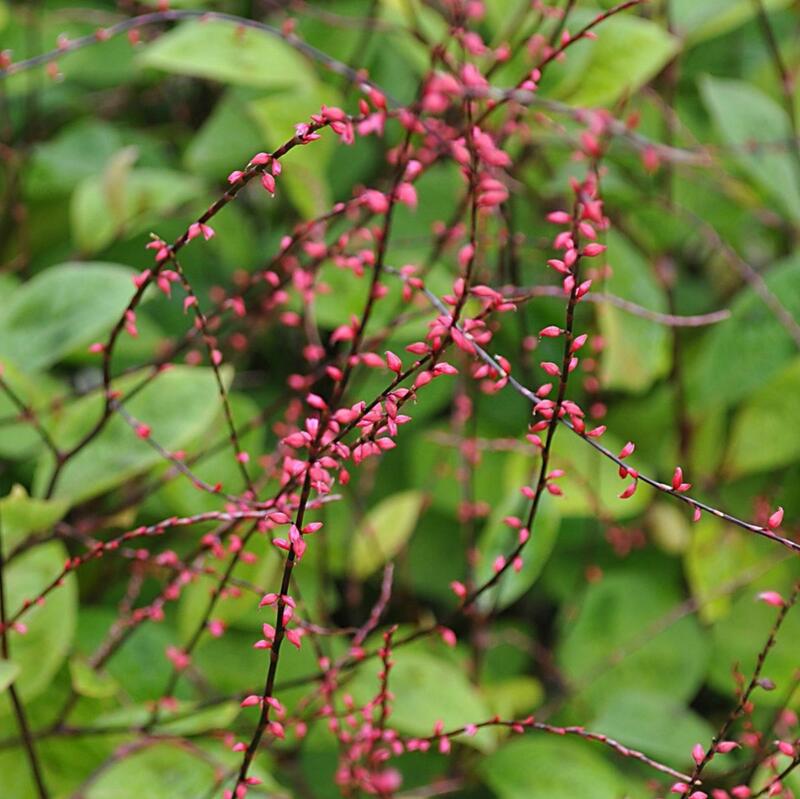 The tiny coral red flowers are borne on long and equally red spikes hovering above the foliage from July until October. 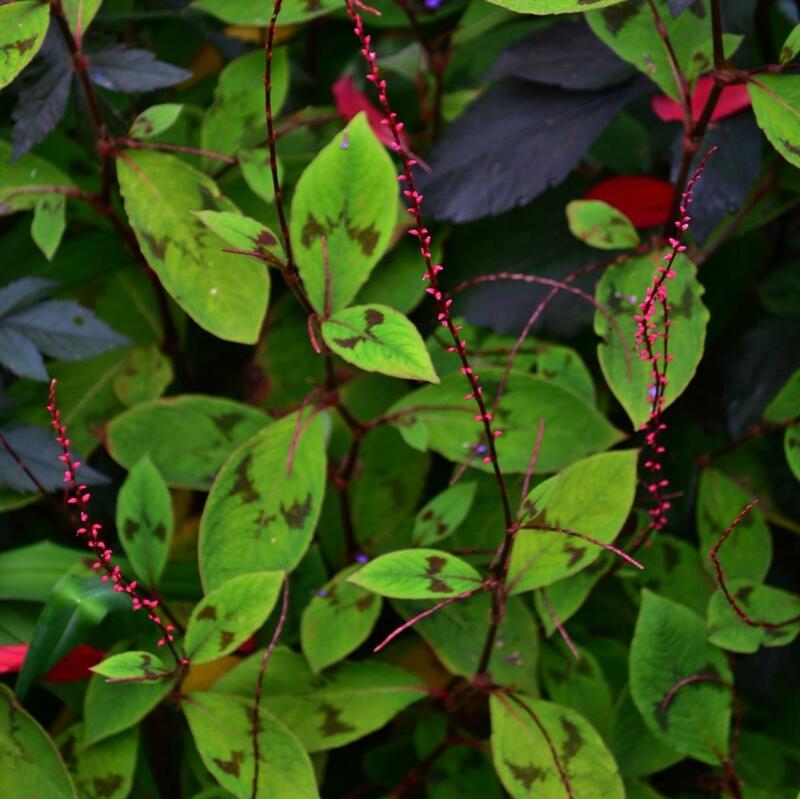 Persicaria virginiana ‘Bat Wings’ is a really easy plant to cultivate and is especially useful in the shade garden. Whilst is does not need shade, it seems more at home there. Grow in any good garden soil and in winter cut back the previous season’s growth back to the crown. Height and Spread 60cm.